Scholars tell us that during the 12 plus years of Dr. Martin Luther King, Jr.’s leadership of the modern American Civil Rights Movement, from December, 1955 until April 4, 1968, African Americans achieved more genuine progress toward racial equality in America than the previous 350 years had produced. Dr. King is widely regarded as America’s pre-eminent advocate of nonviolence and one of the greatest nonviolent leaders in world history. We asked local activist and television producer from KGEM what he felt about race relations in this country in a post-MLK era. “America is facing a serious problem: Dr. King said the three-prong chair: Racism, Poverty and Materialism, it’s rampant … we have become a militaristic state and continue to wage wars that never end. We have yet to learn from Vietnam,” Walker told Beacon Media News, publisher of Arcadia Weekly, Monrovia Weekly and Pasadena Independent. Walker said, America believes everything they see on television and social media. Regarding the two Pasadena Police officers who beat a civilian in November, Walker expresses concern about [officers’] training. “It appears they’re not.” Walker said. Local attorneys have equated the Pasadena beating of Chris Ballew to the infamous Rodney King tape that surfaced, which ultimately led to the 1992 riots in Los Angeles. Drawing inspiration from both his Christian faith and the peaceful teachings of Mahatma Gandhi, Dr. King led a nonviolent movement in the late 1950’s and ‘60s to achieve legal equality for African-Americans in the United States. 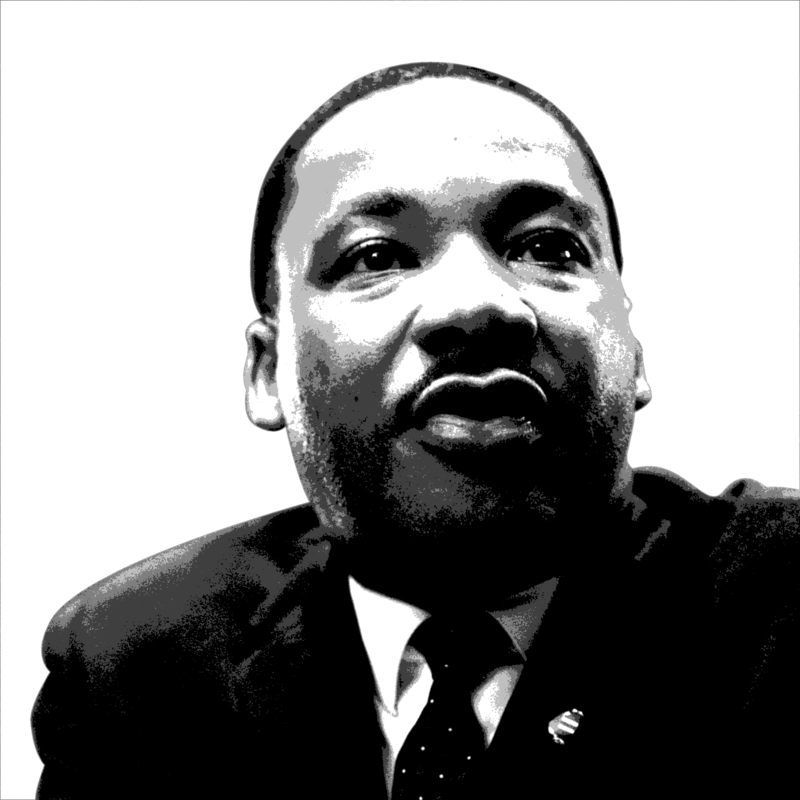 While others were advocating for freedom by “any means necessary,” including violence, Martin Luther King, Jr. used the power of words and acts of nonviolent resistance, such as protests, grassroots organizing, and civil disobedience to achieve seemingly-impossible goals. He went on to lead similar campaigns against poverty and international conflict, always maintaining fidelity to his principles that men and women everywhere, regardless of color or creed, are equal members of the human family. “It’s apathy,” Walker states combined with a “daily battle of negativity and racism which is winning as the right determination continues in the White House. However, Walker – who has been battling racism for over half a century – will be even more determined than ever to educate as many as he can through his popular conversational television shows in Monrovia. – In 1955, he was recruited to serve as spokesman for the Montgomery Bus Boycott, which was a campaign by the African-American population of Montgomery, Alabama to force integration of the city’s bus lines. After 381 days of nearly universal participation by citizens of the black community, many of whom had to walk miles to work each day as a result, the U.S. Supreme Court ruled that racial segregation in transportation was unconstitutional. – In 1957, Dr. King was elected president of the Southern Christian Leadership Conference (SCLC), an organization designed to provide new leadership for the now burgeoning civil rights movement. He would serve as head of the SCLC until his assassination in 1968, a period during which he would emerge as the most important social leader of the modern American civil rights movement. – In 1963, he led a coalition of numerous civil rights groups in a nonviolent campaign aimed at Birmingham, Alabama, which at the time was described as the “most segregated city in America.” The subsequent brutality of the city’s police, illustrated most vividly by television images of young blacks being assaulted by dogs and water hoses, led to a national outrage resulting in a push for unprecedented civil rights legislation. It was during this campaign that Dr. King drafted the “Letter from a Birmingham Jail,” the manifesto of Dr. King’s philosophy and tactics, which is today required-reading in universities worldwide. – Also in 1964, partly due to the March on Washington, Congress passed the landmark Civil Rights Act, essentially eliminating legalized racial segregation in the United States. The legislation made it illegal to discriminate against blacks or other minorities in hiring, public accommodations, education or transportation, areas which at the time were still very segregated in many places. – The next year, 1965, Congress went on to pass the Voting Rights Act, which was an equally-important set of laws that eliminated the remaining barriers to voting for African-Americans, who in some locales had been almost completely disenfranchised. This legislation resulted directly from the Selma to Montgomery, AL March for Voting Rights lead by Dr. King. – Between 1965 and 1968, Dr. King shifted his focus toward economic justice – which he highlighted by leading several campaigns in Chicago, Illinois – and international peace – which he championed by speaking out strongly against the Vietnam War. His work in these years culminated in the “Poor Peoples Campaign,” which was a broad effort to assemble a multiracial coalition of impoverished Americans who would advocate for economic change. – Dr. Martin Luther King, Jr.’s less than thirteen years of nonviolent leadership ended abruptly and tragically on April 4th, 1968, when he was assassinated at the Lorraine Motel in Memphis, Tennessee.